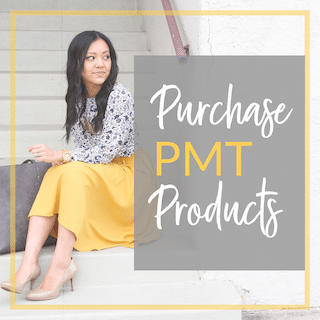 Announcing: PMT Weekly Style Challenge! YOU GUYS. I’m totally feeling the fresh energy of the new year! After spending 8 months of last year figuring out a maternity wardrobe and the other 4 months figuring out a nursing wardrobe (plus figuring out how to manage a full-time job, plus blogging, plus caring for a baby and still being a functional member of civilization in general…dahhhhh!) I finally have some fresh energy to refocus my style and get back to some basics. 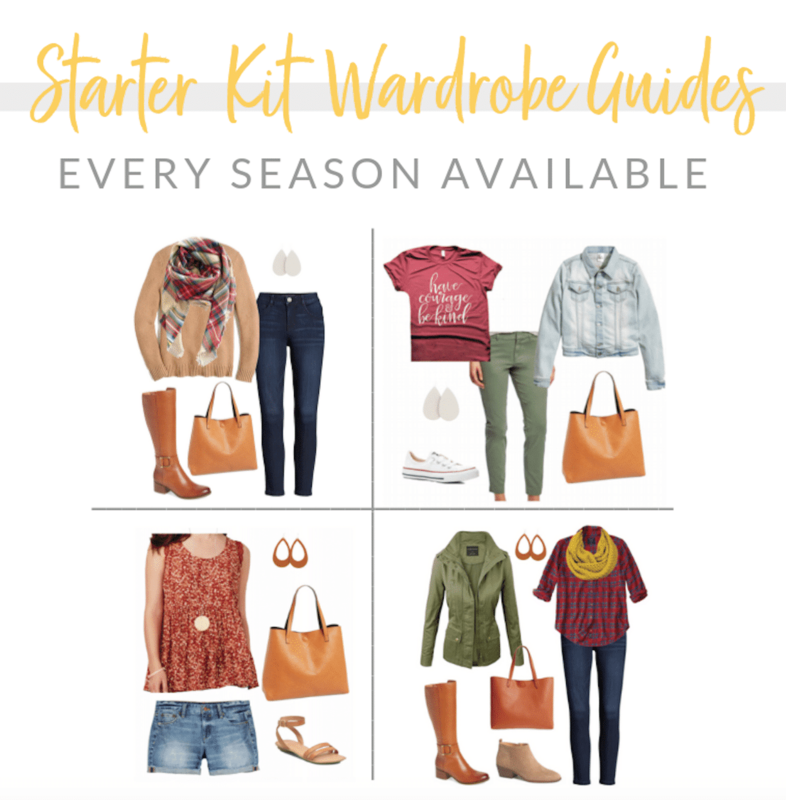 I learned a lot in the last 3.5 years of blogging, but all of the transition from last year got me back into a jeans + tee rut…except that I just have more jeans in different colors than I did before. Haha. Some days it feels like a struggle to even just put on a skirt! Now I’m all charged up to put more a *liiiiiitle* more energy into getting dressed again, BUT I realized I need some help! 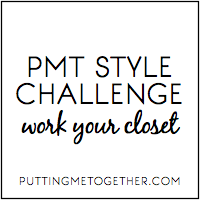 SO, to help myself better work my closet and for anyone who wants to join me, I’m hosting weekly style challenges! I don’t know how long they’ll go for..a month? two? three? a year? I’m just gonna feel it out and see how long they help both you AND me. Every week there will be a style challenge. All challenges for each month will be listed in a Style Challenge tab so you can see them in advance. (Find it HERE for now. I’ll add it to the menubar or sidebar soon.) Challenges might be as basic as wearing a skirt or belting something, or more stretching like pattern mixing or trying a new hairstyle. I’ll try to post inspiration and tips earlier in the week. Try the challenge whenever you want that week. Post on your blog or Instagram anytime throughout the week. Or don’t, and just play along quietly. Totally optional. 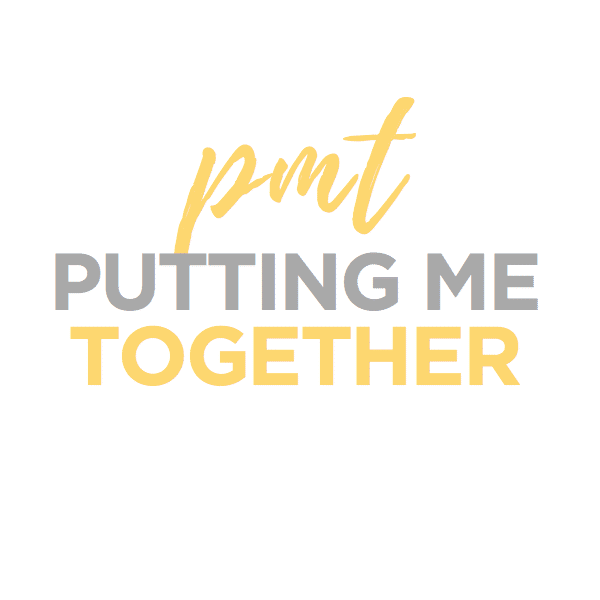 For Instagram, use #PMTstylechallenge and/or tag me @puttingmetogether so that I’ll get alerted and can cheer you on! Cheer me on too. Like I said, I need the motivation! Come here on Thursdays to link up–blog or Instagram. Also optional! If you posted on a Tuesday, just come here Thursday and link to Tuesday’s post. If you’re blogging, you can link back to this blog or use the button below. Even though it’s considered the “nice” thing to link to the host, I don’t care if you do or not. This is way more about the challenge and wayyyyy less about increasing exposure or whatever. Linking back is a great way to invite your readers into the challenge–it might help them too. But if you don’t want to link back, that’s fine! And, HUGE thanks if you do! It starts THIS WEEK! And we’ll start basic: WEAR A DRESS. Don’t let winter make you say bye to your dresses. Find the rest of the challenges for the month on the Style Challenge page! What a great idea! Count me in! Hooray! What a fabulous idea! I am three years post baby/nursing and I still need the help myself. Can't wait to see what you come up with. I will post both on my blog and on IG, where I am @hersoulsociety. Thanks! I really like your idea! Just hope the challenges don't focus too much on seasonal clothing, since I live in Brazil and it's 100+ degrees right now… Anyways, nice job!! Yay! This sounds fun. Can't wait to join! I am so excited about the challenges! I don't have a blog or use Instagram, but I've already added them to my calendar to try and I've added a twist. Since I won't be sharing them with anyone, I'll try to incorporate them into more than one day. Putting Me Together is so wonderful! Thank you! Yay! I love this, I'll totally be joining in. Is there a way to participate on Facebook? 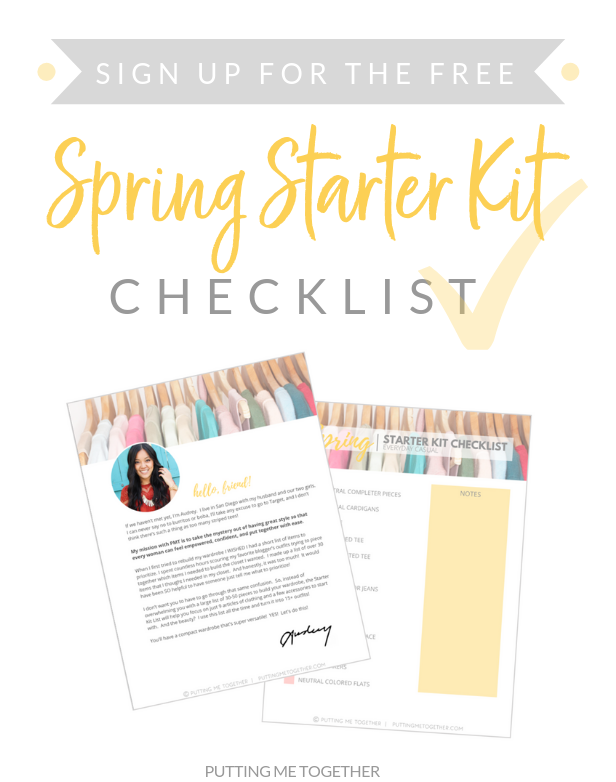 This is my very favorite style blog… and as a SAHM with a little one just a bit older than yours, I'm jazzed to have a style challenge to dress up for this week! Great point, Debora! I looked at my list of ideas so far and they don't seem seasonal. 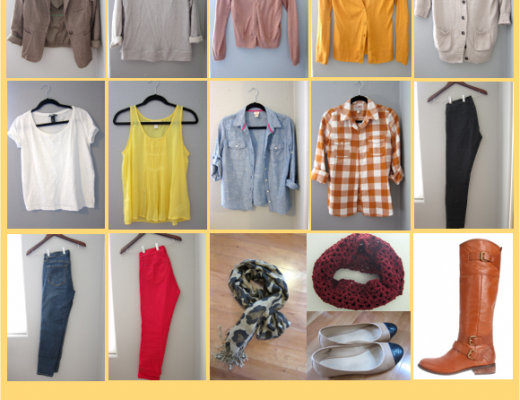 This week's challenge to "wear a dress" can be for winter or summer or anything in between. The other challenges listed for the month are " wear a pop of color" and "copy an outfit you pinned on Pinterest." Hope you join along! Sounds great, Jenny! Excited for you to join in the challenge! Haha! Would love to do it with you, Oksana! Looking forward to seeing what you come up with, Reegan! I thought about it but wasn't sure how to organize it. Do you have suggestions? Yessss!! I love style challenges, and this one is so easy to follow! I've done one monthly challenge but don't have time to post every day right now. A weekly challenge is SO doable. Can't wait to join in the fun! Aw, thanks Sarah! Glad to be challenged alongside you! Ah this is amazing, super excited to tackle these challenges! I've been stuck in a rut for a long time, especially since my work wardrobe is scrubs. It's hard to be motivated when you basically wear p.js for a living. I'm definitely in, and will be linking up! 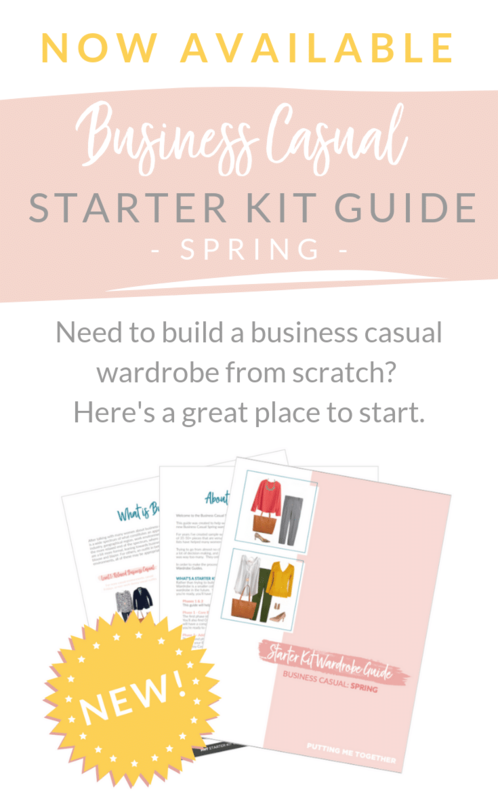 This is a great idea and I love how simple the first challenge is – even though I probably wouldn't be wearing a dress this week otherwise, since it's 30 degrees or so in Virginia. I'm sharing this link on my blog tomorrow. I love this! But a dress is the dead of winter in Michigan in truly a challenge. It does get us into our closets. Love your blog! Love this idea! Can't wait to follow along and join in. Maybe a group? Just a temporary one for the challenge? Super excited to join this challenge!! It is pretty cold here where I live. But I have been eyeing the dress hanging toward the back of my closet for some time now. Think I will just put her own and join the challenge! 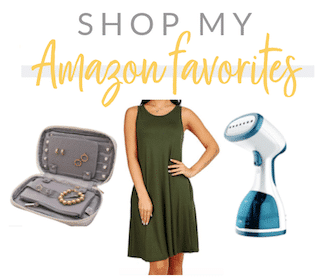 I love the idea and I would like To share with you my outfits however I am not into exposing myself online… I Don't have a blog nor like To use Instagram, so could you come UP with a way of me and others like me To just post our pick here????? Hi Lilly, I was thinking maybe I will join too but just chop off my own head in some of the pics and only show the outfit. But I'm guessing you will have to partake in some form of social media to do that. This sounds easy and fun. See you on Thursday. Awesome! I love this. Will give me something fun to look forward to during this ick winter. Love your directions too – so low pressure! Keep up the great work – love this blog! Exactly–I was totally reaching for the same pieces over and over. Glad to do it with you! Hmm…someone else suggested a Facebook group specific for the challenge. Would that work, or is it still too exposing? Thank you, Mary Ann! Really glad to hear it doesn't feel overwhelming! Bless you and your brave soul! Pleasseeeee tell me you're wearing fleece lined tights or something equivalent! it would just appear as code and route to an error page. Did you enter the code to the HTML section of your blog, or straight into the normal text area? Yep, that was the problem! It's fixed now.. thanks! Audrey! I'm SO excited about this! 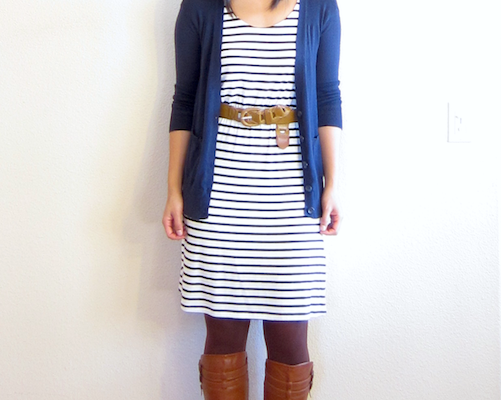 I just linked up with last week's post (wear a dress!) and I can't wait to link up tomorrow as well 🙂 Thanks for the opportunity to link up and get exposed to other people's blogs, too!